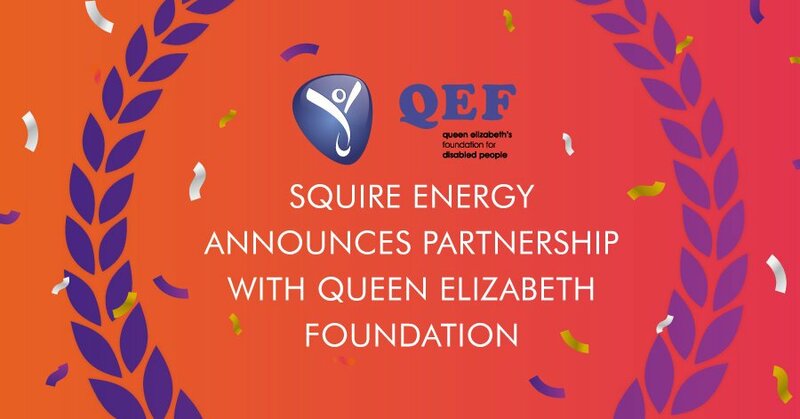 We’re delighted to announce our sponsorship of the Queen Elizabeth Foundation (QEF), a non-profit organisation which aims to provide life-changing services to people with disabilities, to help them experience a more independent, fulfilling and rewarding life. Based in Surrey, England, QEF was established in 1935 as a training academy for the physically impaired, giving its pupils the opportunity to acquire valuable qualifications. Over 80 years, it has evolved from a college to a national charity, working with over 5,000 children and adults every year to help those with disabilities fulfil their potential. From teaching new skills to encourage independence, to improving independence through increased mobility and rehabilitation after a brain injury, QEF is determined to help people with disabilities live their lives to the fullest! As part of our commitment to giving back to the community in 2019, Squire Energy made the decision to sponsor a local charity over the course of a year. After thoughtful discussion, we chose QEF as our charity, with the team at Squire particularly impressed by QEF’s innovative approach to assistive technology. As a result, we will be focusing our efforts on raising funds for a new ‘Bugzi’ unit – a chair for 2-6 year olds which gives children a little more independence, as well as supporting QEF’s efforts in building a brand new Care and Rehabilitation Centre. Members of SEL have already joined QEF for the Ladies Spring Lunch at Epsom Down Race Course – you can view the pictures here – and in August, Steve Gray will be joining the QEF teams for Ride London 100. Also in August, our Operations Administrator, David Porter will be undertaking the UK Three Peaks challenge, which entails hiking up three of the UK’s tallest mountains in one weekend. Visit David’s Just Giving page to donate! We will have plenty of additional events planned throughout the year – watch this space! Keep up to date with our fundraising efforts by following us on Facebook, Twitter & LinkedIn.